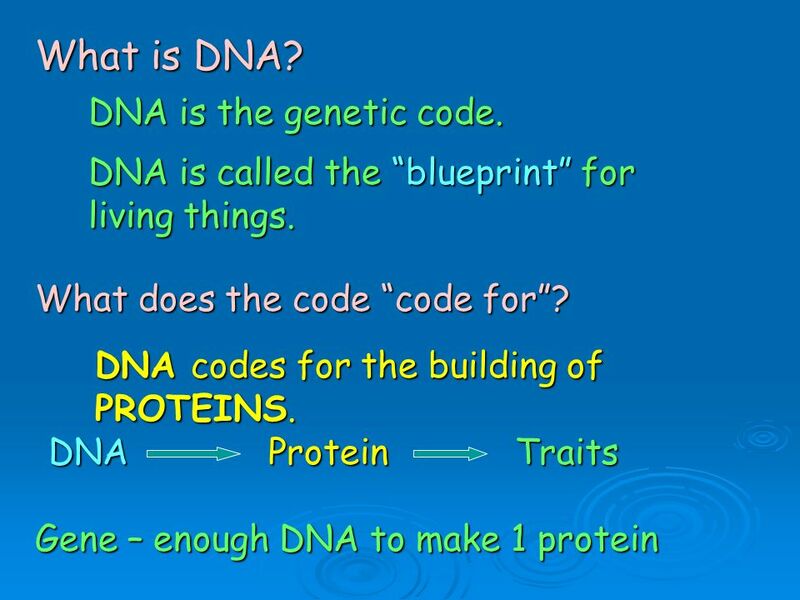 DNA: the blueprint of life. Where do you get your DNA? DNA is passed from parent to offspring. Where do we find DNA? 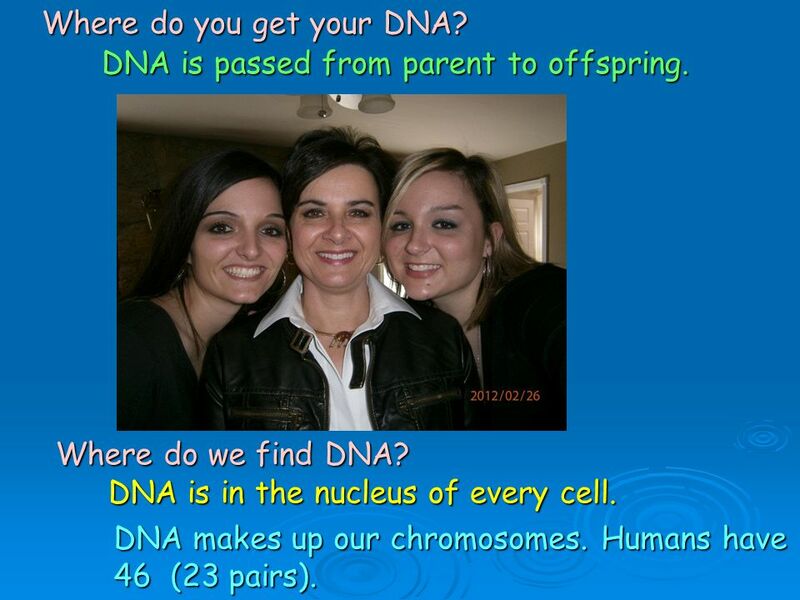 DNA is in the nucleus of every cell. 2 Where do you get your DNA? DNA is passed from parent to offspring. Where do we find DNA? DNA is in the nucleus of every cell. DNA makes up our chromosomes. Humans have 46 (23 pairs). 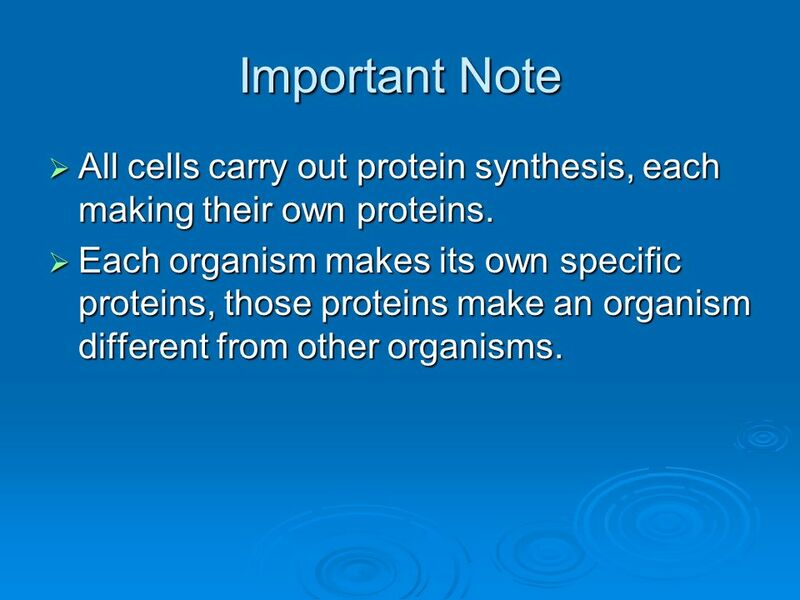 4 Important Note  All cells carry out protein synthesis, each making their own proteins.  Each organism makes its own specific proteins, those proteins make an organism different from other organisms. 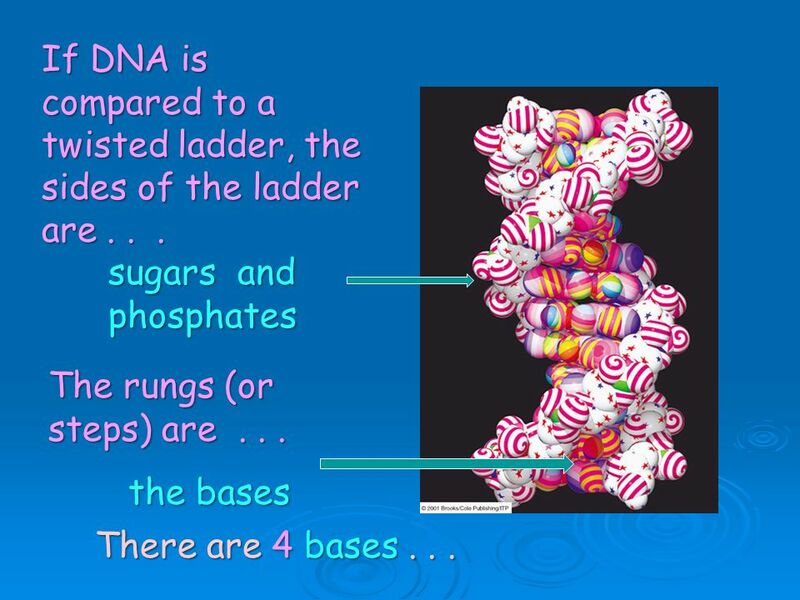 6 What is a nucleic acid? Nucleic acids may be polymers made up of chains of many nucleotides. What is a nucleotide? 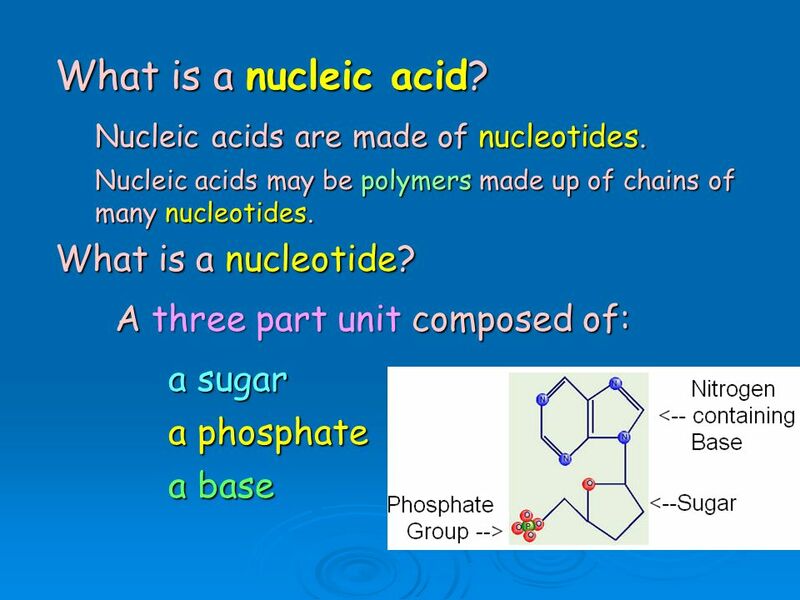 A three part unitcomposed of: A three part unit composed of: a sugar a phosphate a base Nucleic acids are made of nucleotides. 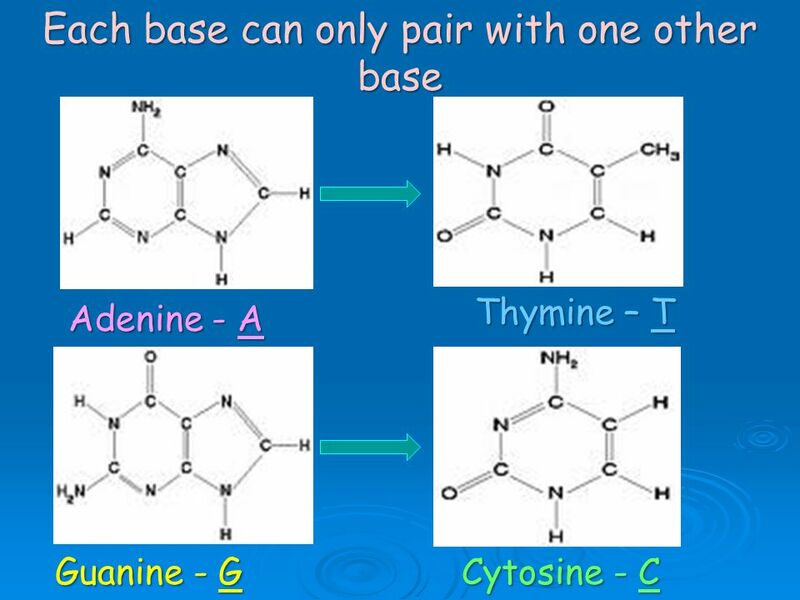 12 The base pairing is: AT C G Why? 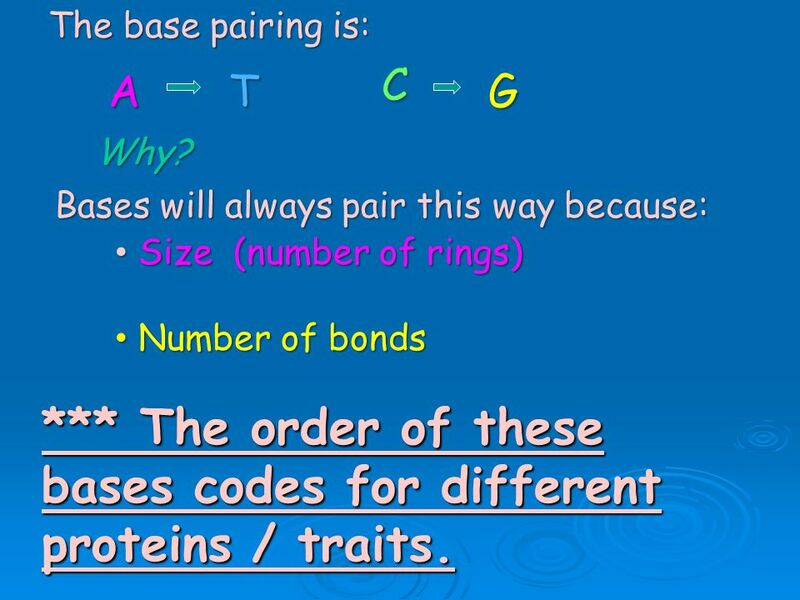 Bases will always pair this way because: Size (number of rings) Size (number of rings) Number of bonds Number of bonds *** The order of these bases codes for different proteins / traits. 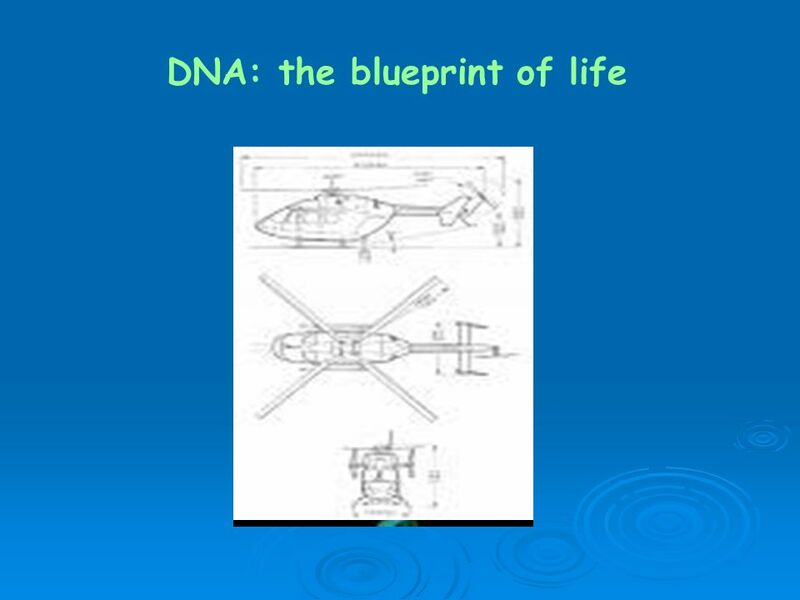 Download ppt "DNA: the blueprint of life. Where do you get your DNA? DNA is passed from parent to offspring. Where do we find DNA? DNA is in the nucleus of every cell." 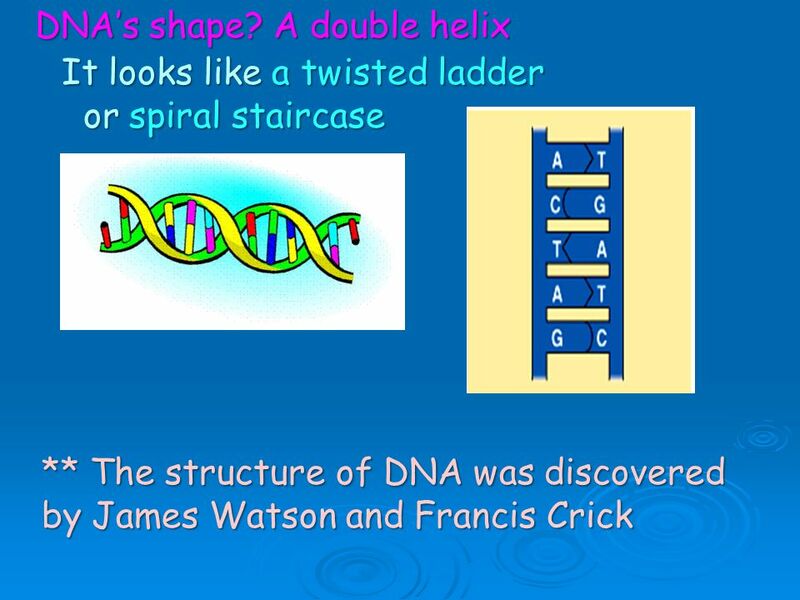 DNA-The Double Helix Answer Key. Chromosome/chromatin/chromatid video start 8:55. DNA is Deoxyribonucleic Acid Genetic material that carries the information about an organism and is passed. DNA DNA. DNA is often called the blueprint of life. In simple terms, DNA contains the instructions for making proteins within the cell. Proteins control. 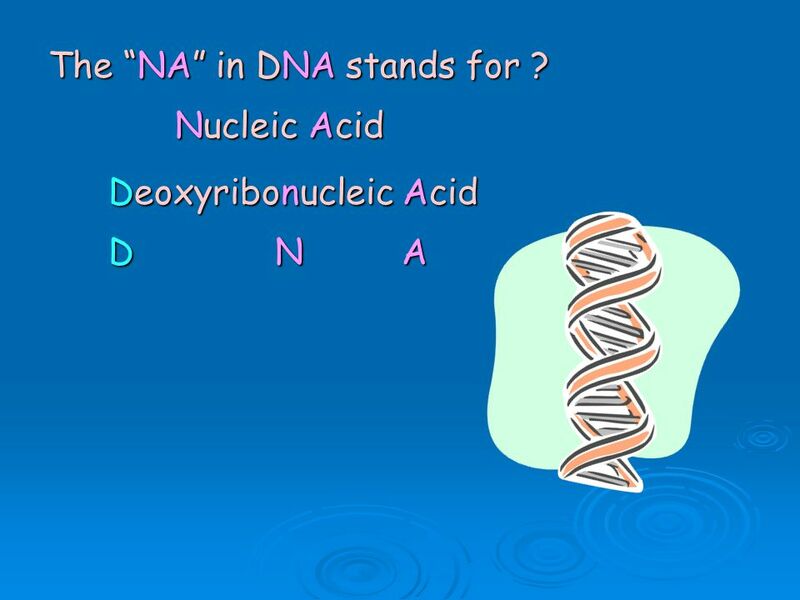 Aim: What is the structure of Nucleic Acids? Do Now: List 4 things you observe in the molecule below. Nucleic Acid Structure and Function. Function of DNA (DeoxyriboNucleic Acid) Contains sections called “genes” that code for proteins. These genes are. 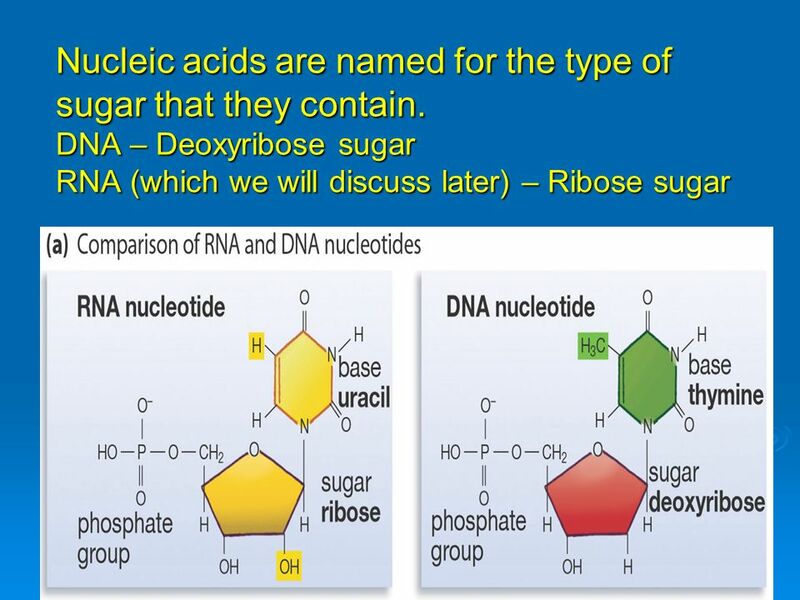 AP Biology Nucleic acids AP Biology Nucleic Acids. DNA Deoxyribonucleic Acid. The DNA Connection What have you learned about inheritance, DNA, and cell division up to this point? How do genes determine.